Has your doctor ordered an MRI for you? If you have fibromyalgia or chronic fatigue syndrome, there are a few things you should know—and do—before you go in for this test. An MRI (magnetic resonance imaging) scan is used for a lot of different things. It helps doctors diagnose soft-tissue injuries, spinal problems, vascular abnormalities, gastrointestinal problems, and diseases or abnormalities of the brain. It's unlikely that you'll need an MRI for a diagnosis of fibromyalgia or chronic fatigue syndrome unless your particular set of symptoms is similar to that of a neurological illness that can only be eliminated by MRI. 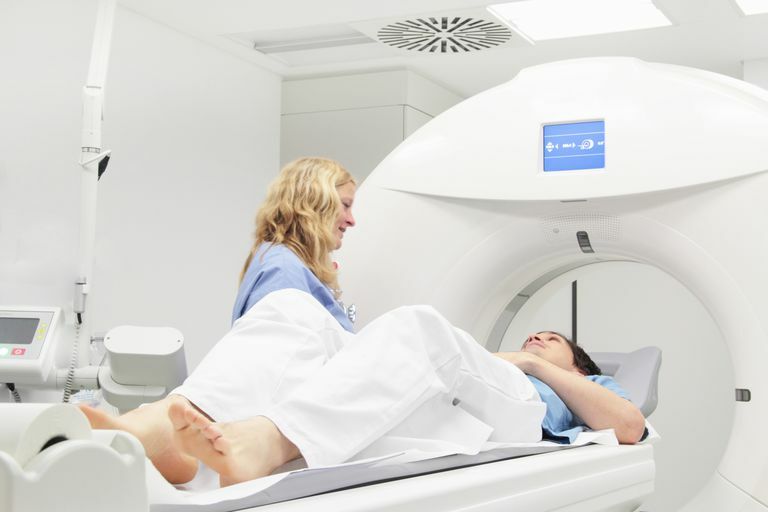 You may also need an MRI at some point to diagnose an injury or a different illness. Before that time, there are some things you need to know that may help you get through it with less of a symptom flare. With proper planning, though, you may be able to alleviate a lot of problems. An MRI uses magnetism and radio waves to send images of structures inside your body to a computer. In most machines, you lie on a bed that slides into and out of a tube around which there's a big doughnut-like structure that holds the magnets. During the test, the magnets spin around you and loud sounds send radio waves through the body part being scanned. It's not a quick test—it can last anywhere from 10 minutes to more than two hours, depending on what the scan is for and how much of your body they need to examine. During a brain MRI, your head will be immobilized in a cage-like contraption with an opening over your face so you can see and breathe. The sides of the opening are padded and designed to hold you snugly in place. Several aspects of the MRI process can be problematic for those of us with these conditions. For people with severe anxiety or claustrophobia, sedation might be an option. Make sure you discuss this with your doctor and the facility ahead of time. Don't just show up and ask to be sedated or they may not be able to accommodate you. Not all facilities offer this, either. Take a few seconds to mentally calm yourself before going into the tube. If they offer a towel or other covering over your face, accept it. Seeing how little space is between your face and the tube may trigger panic. Arrange for a ride! Even if you're not sedated or heavily medicated, you might not be able to drive safely afterward. It's also a good idea to let the staff know of any concerns you have before the scan begins. They may know of other ways to help you get through it.